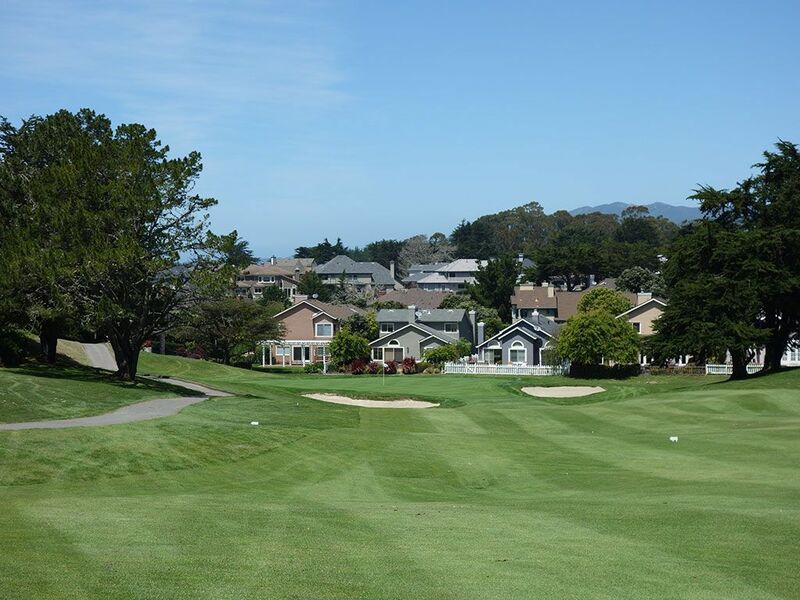 Course Website: Official Website - Visit Half Moon Bay (Old)'s official website by clicking on the link provided. 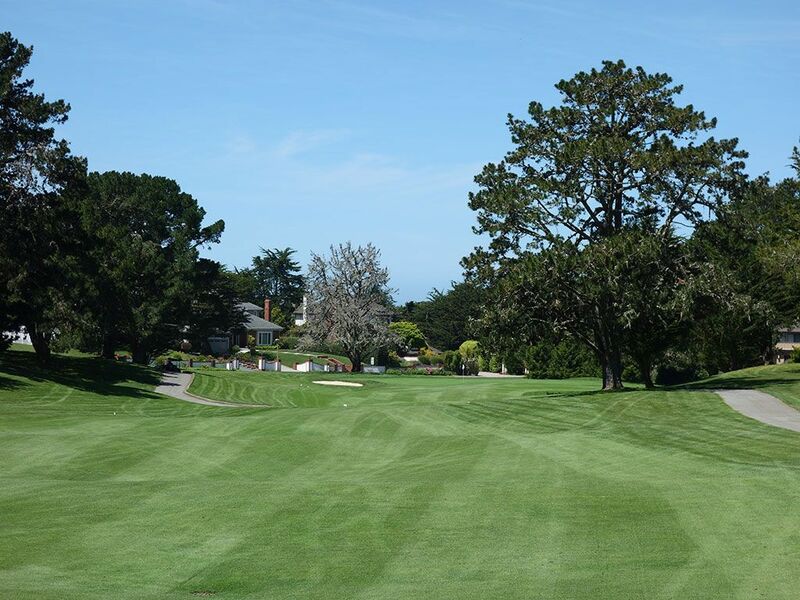 Accolades: Ranked 43rd in California on Golf Course Gurus' Best in State rankings. 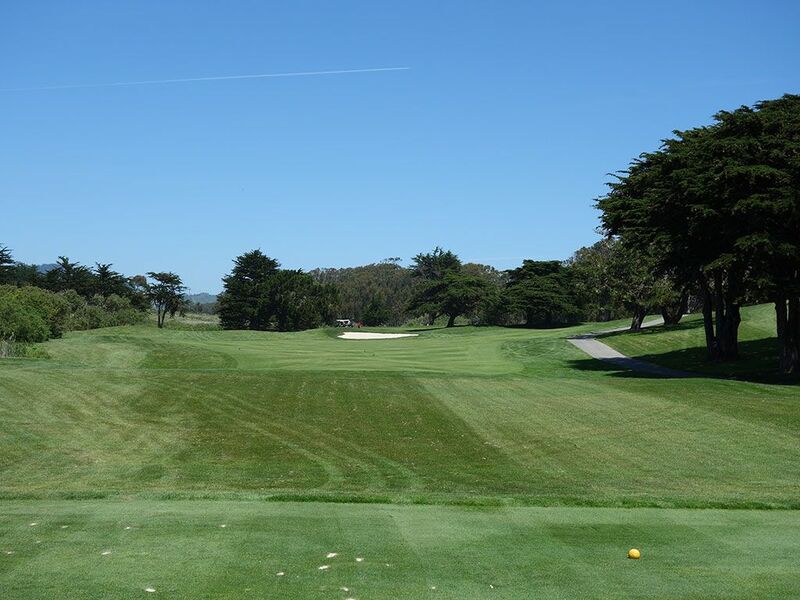 What to Expect: The original course at Half Moon Bay was designed by Arnold Palmer and opened in 1973. The routing works itself through a residential development for all but the closing two holes which is unfortunate considering the proximity of the Pacific Ocean and the potential vistas available if housing didn't encumber the property. The turf is kept in good shape although the Ocean course clearly is given more attention from a conditioning standpoint; as it should. 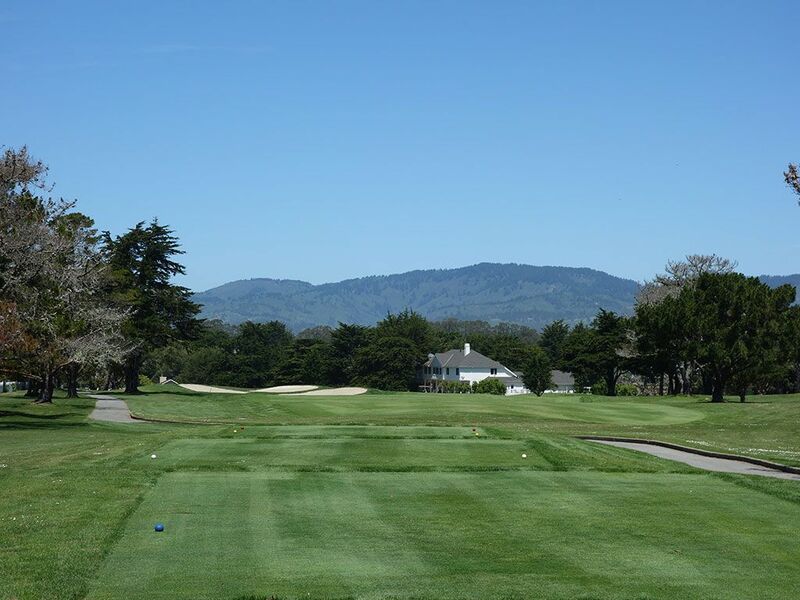 When I play a course I often ask myself how reproducible it is from a design, terrain, and aesthetics standpoint. The more unique the offering the more appealing it becomes as a destination to experience. Other than the closing hole, I felt like the Old course offered very little to make it stand out from what felt like one of a thousand different country clubs across America. That being said, the closing hole is an impressive finisher on one of the most dramatic pieces of coastline found in California. It was reminiscent of the finishing hole at Trump Doonbeg in Ireland, particularly with the large hotel behind the green, and deserves all the accolades it gets. The vanilla approach to the hole designs are typical of 1970s architecture and is the reason you only see pictures of the 17th and 18th holes at the Old course and none of the others. 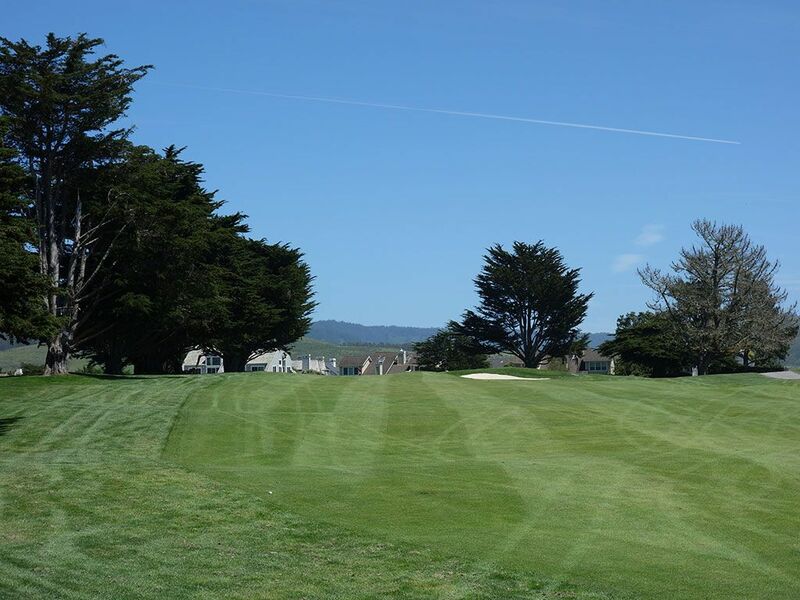 Carts are provided for your round and you'll want to dress warm as Half Moon Bay is known for being a fair amount cooler than 15 miles inland. 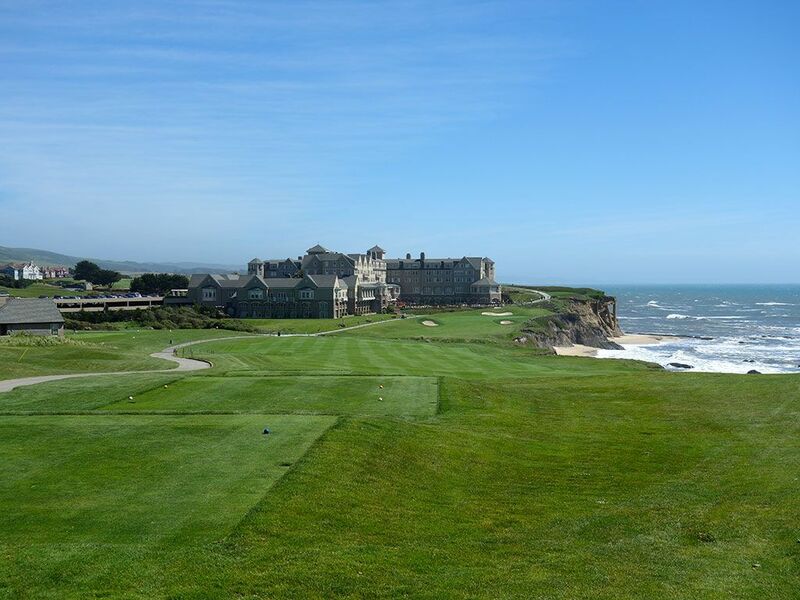 Half Moon Bay is a nice 36 hole destination, particularly if you are looking for a romantic getaway and want to enjoy the impressive hotel and surroundings, but if you're only looking to pick up 18 holes then the Ocean course is undoubtedly the way to go. 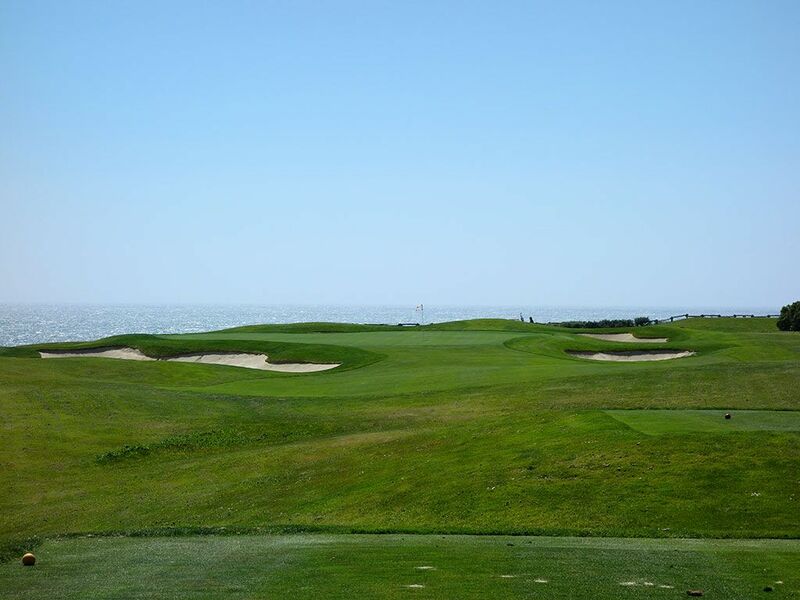 Signature Hole: 18th Hole – 405 Yard Par 4 – While down the coastline at Pebble Beach is the most famous 18th hole in the world, the closer at Half Moon Bay's Old course is quite the stunner as well. 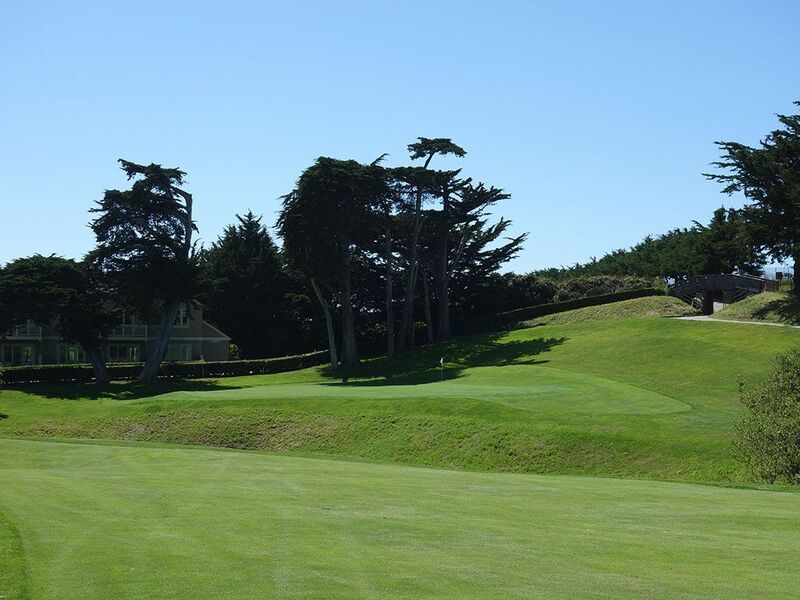 Playing straight south along the rocky coastline, this mid-length par four plays downhill and not as long as the scorecard suggests. 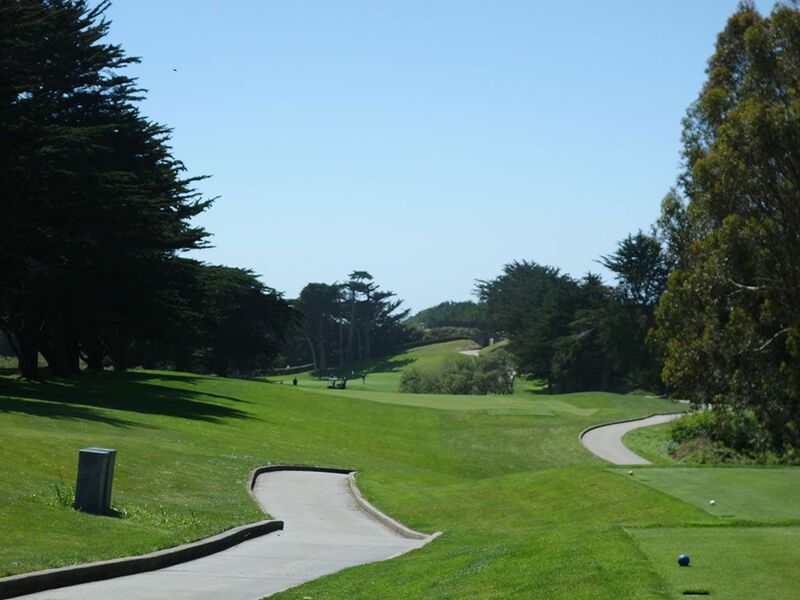 Driver off the tee isn't necessarily the play with a ravine crossing the fairway about 130 yards from the green. With the Ritz Carlton towering in the background and the Pacific Ocean on your right, the approach shot into this green is one you'll never forget. 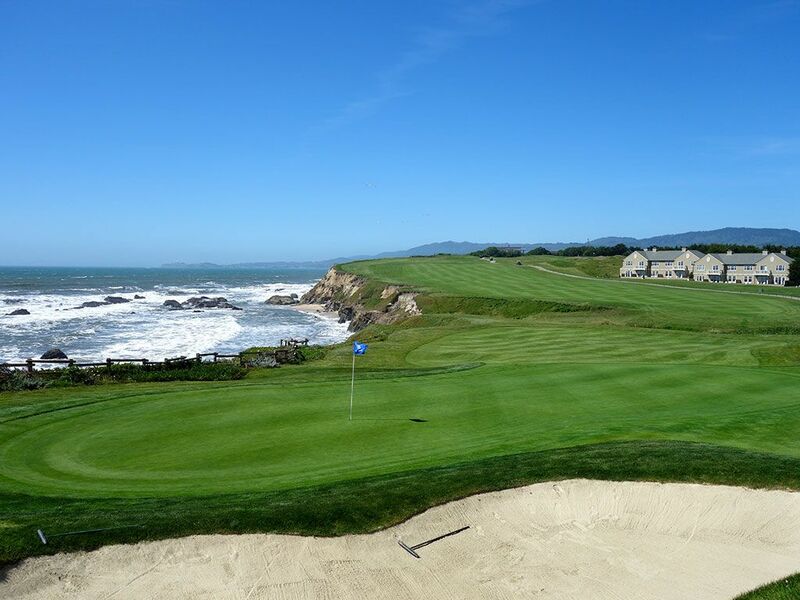 Best Par 3: 17th Hole – 167 Yards – After 16 holes of golf through residential housing, players are finally introduced to the ocean with a par three that plays directly west toward the water. Bunkering surrounds the putting surface and the hole often plays into the wind with the breeze coming directly in off the ocean. Best Par 4: 16th Hole – 410 Yards – The 16th plays slightly downhill off the tee before going over a ravine to a slightly raised green. 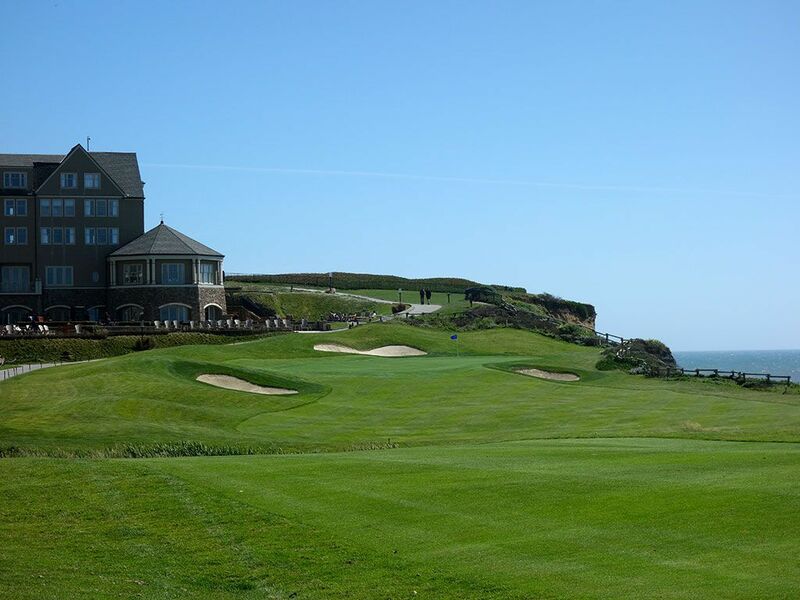 The approach shot over the ravine and slope in the green create the character of this final hole before heading to the ocean. Best Par 5: 10th Hole – 546 Yards – The back nine starts with this uphill dogleg right par five that is reachable in two for players willing to challenge the corner. The rising fairway blocks your view of the putting surface when going for the green in under regulation but the reward can be worth going for it. Birdie Time: 5th Hole – 499 Yard Par 5 – At three feet under 500 yards down, the 5th is a great scoring opportunity. A tee shot up the left side shortens the hole and produces an easier chance to reach the green in two. A small bunker protects the front left side of the green but nothing else inhibits you from being aggressive with your approach shot. The downhill approach reduces the effective yardage and makes the green all the easier to reach. Bogey Beware: 8th Hole – 449 Yard Par 4 – The lengthy 8th features o.b. up the left side which will be a deterrent for players trying to shorten this hole. The approach shot plays to a green protected by a pair of bunkers while bunkers also lie in the driving zone on the left. 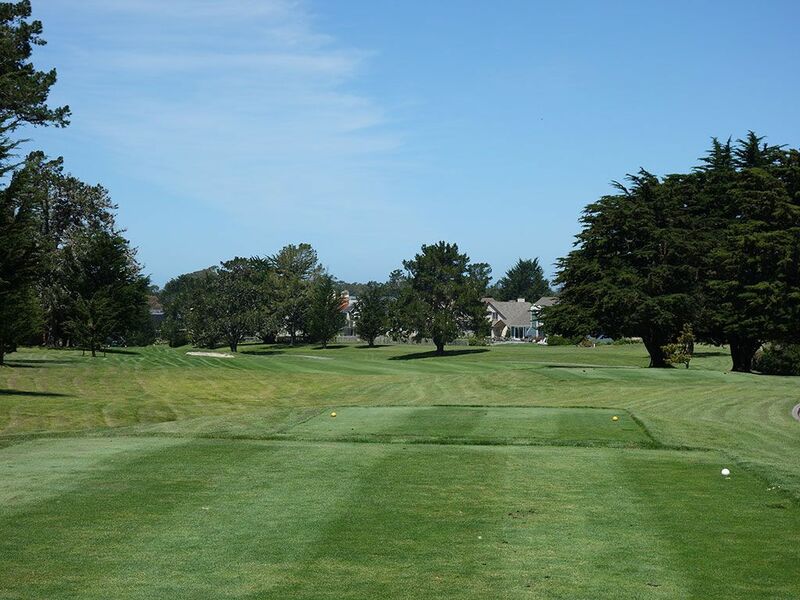 With trees framing the fairway, you'll need to be accurate from tee to green to conquer this hole.